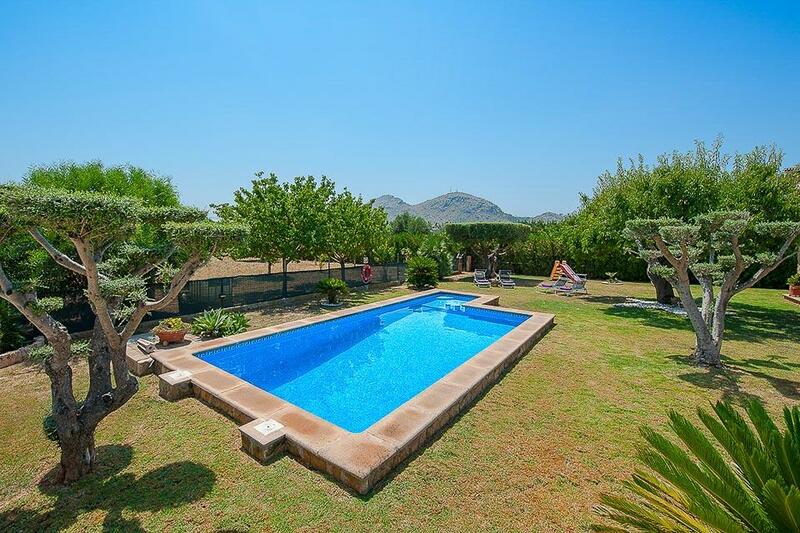 A quaint villa with child section in the pool being within easy reach of the old town of Alcudia. This villa is quite simply a perfect choice for a small family seeking a Villa holiday with the luxury of your own private pool. This really is a fantastic choice for families wanting the convenience of being close to shops, bars and restaurants. Set on one level the house has a very country/homely feel with a large spacious and fully equipped kitchen/lounge/diner which also include internet connection,satellite television and DVD player. 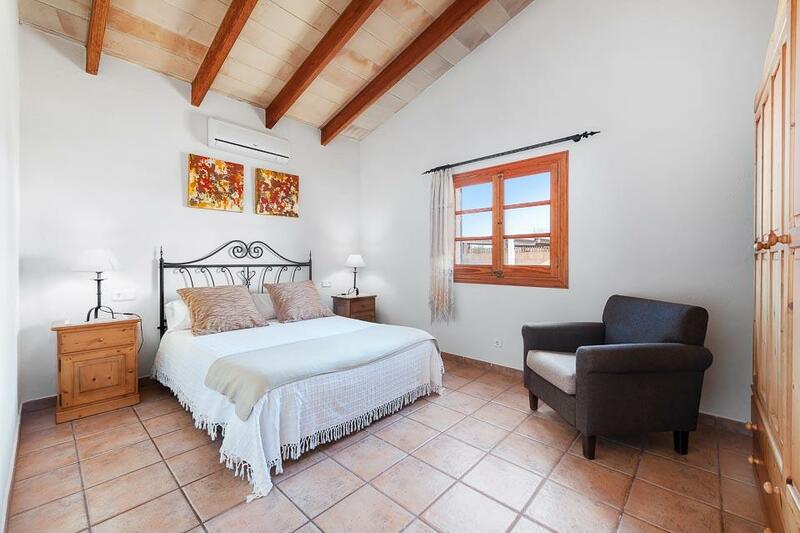 The bedrooms are spacious and both with Air conditioning, from the twin room there are glass doors which lead you to the back terrace and fabulous covered barbecue area. 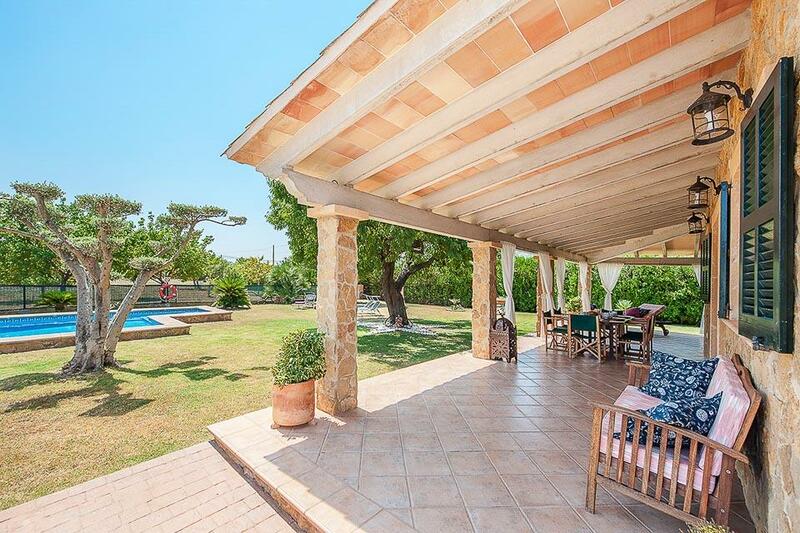 At the front of the Villa there is a large covered terrace with a great seating area for al fresco dining this overlooks the wonderful lawn and swimming pool. The extra facility of a small children's corner in the pool is really a great bonus if you have little ones. A lovely country style property with lots of character, perfect for a family holiday. 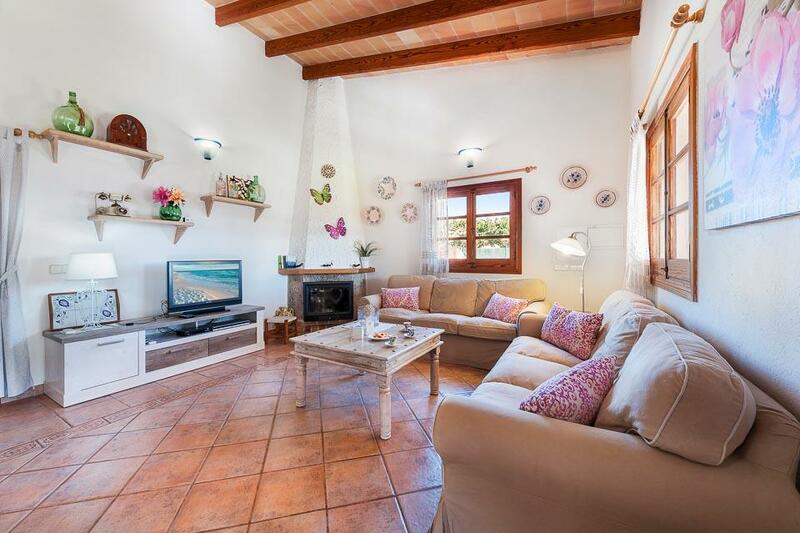 Amazing villa, spotless and furnished with everything you could need. Location great,just off main road so close to everything but big grounds make it feel secluded enough. Lovely owner. Would definitely go back. Very pleasant house where nothing is missing. very nice environment, little flat, the noise of the road (not at night). Warm reception. Never thought we'd go to the same villa twice but we did. 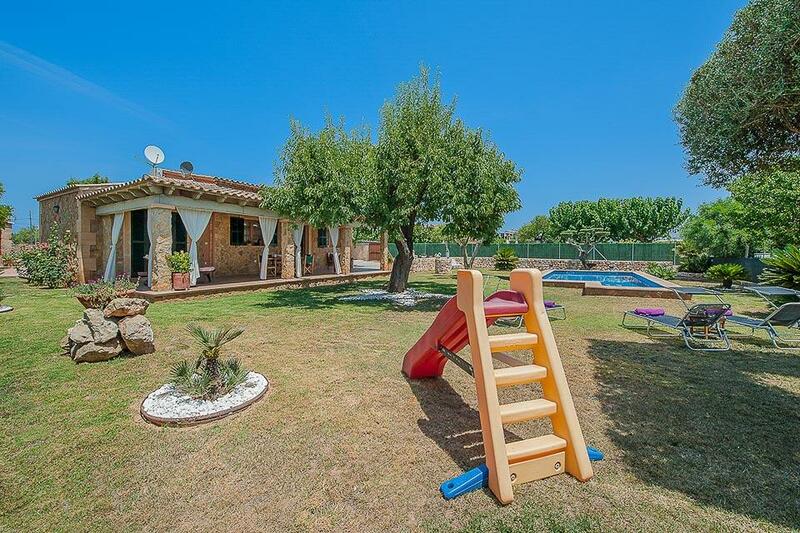 Excellent Villa with great facilities, great gardens and a wonderful swimming pool (inc children's area). A totally relaxing two weeks with great, helpful owners. villa was spotlessly clean and well furnished. This villa is just beautiful. The owners have put a lot of thought, time care, and effort into everything. Well equipped and so clean. The pool area was perfect, they even provided pool towels. I would find it very hard to find any fault with this Villa. It's about 1km walk into old town Alcudia (left as you come out of the villa) For the first 300 yards there is no pavement and the traffic is quite fast, there are no streets lights on this road section either, but the rest of the way its ok. Our TIP..The nearest supermarket is Eroski, it is quite big and well stocked enough for your holiday and is not expensive. It is located behind the large perfume/drug store that has an orange sign and begins with M to the right of the castle. It is tucked away down the side of this drug store and you wouldn't know it was there. There is a short cut as your walking into town, the side street just after the pelican with the lights, (Looks like residential apartments). We would definitely return to this villa. Thanks to the lovely owners. The villa was really homely, great layout inside and out. Owners were really friendly and did not interrupt our stay. The villa exceeded all of our expectations. It was superb . Exceptionally clean and very well equipped . The owner Juan and his lovely wife couldn't have done any more , they were friendly , very helpful and nothing was too much trouble . 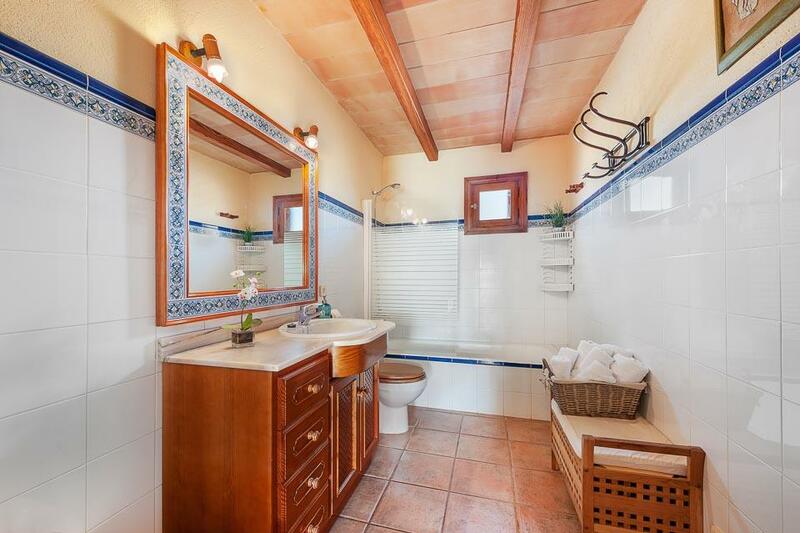 Traditional Spanish Villa which had all the amenities needed. The pool area and BBQ areas were spacious and well equipped. The pool in particular was excellent and the lighting of the pool at night was a nice touch. The beds were comfortable and room clean and spacious. 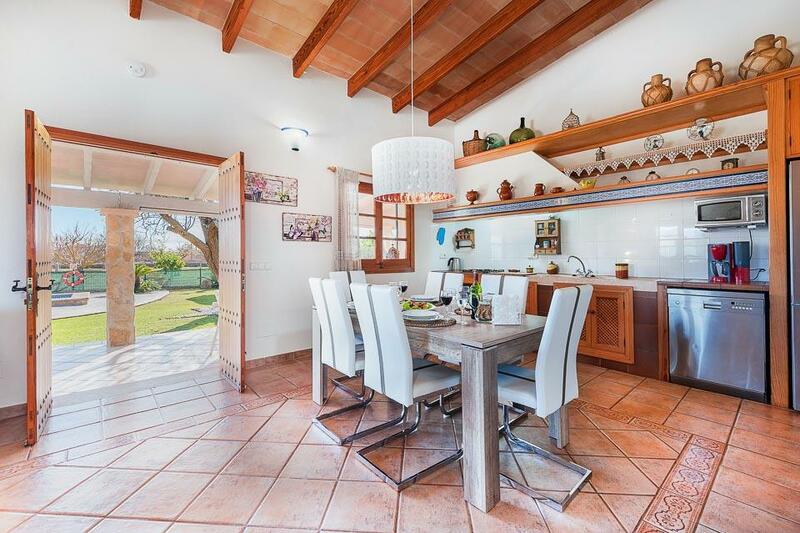 The kitchen had all the equipment you could need and the adjoining living area comfortably furnished. The privacy offered by staying at this villa was perfect. The villa exceeded all of our expectations. It was superb . Exceptionally clean and very well equipped . The owner Juan and his lovely wife couldn't have done any more , they were friendly , very helpful and nothing was too much trouble. 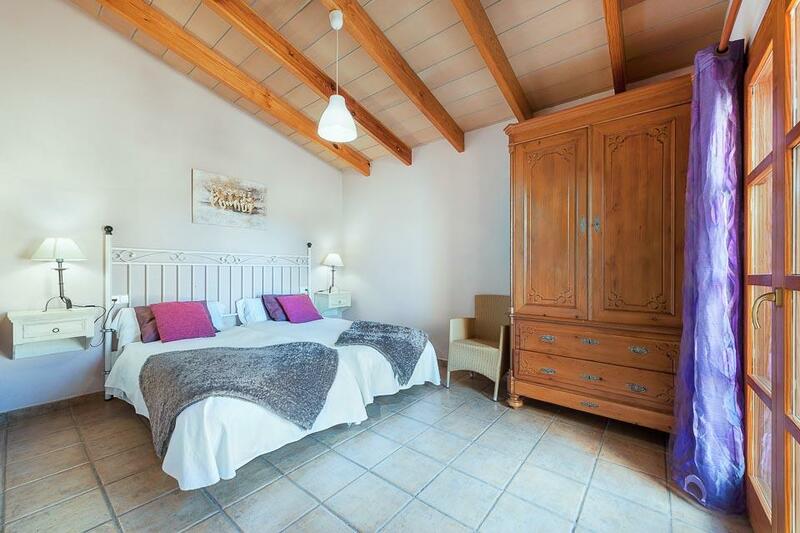 It had everything we needed, was clean and within walking distance of Alcudia old town. The whole set up was excellent. Very clean and well provided with towels, crockery and cutlery. Very spacious and private. The owner came to change the towels and was very friendly - his brother lives next door and was also very welcoming. Town is only 5 minutes away in the car with plenty of shops, supermarkets and eating places. Air conditioning was great at night. We had 2 grandchildren with us and they loved the pool. Cannot fault any of the set up! 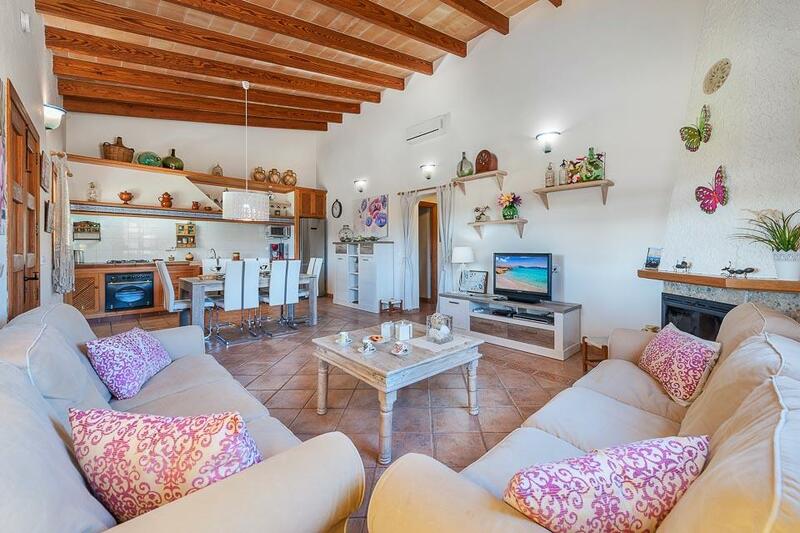 The Villa was very spacious, clean and fully equipped with everything we needed. The gardens and pool were fantastic. Overall we were very satisfied and wouldn't hesitate in re-booking the same Villa were we ever to return to Mallorca. What a wonderful place! 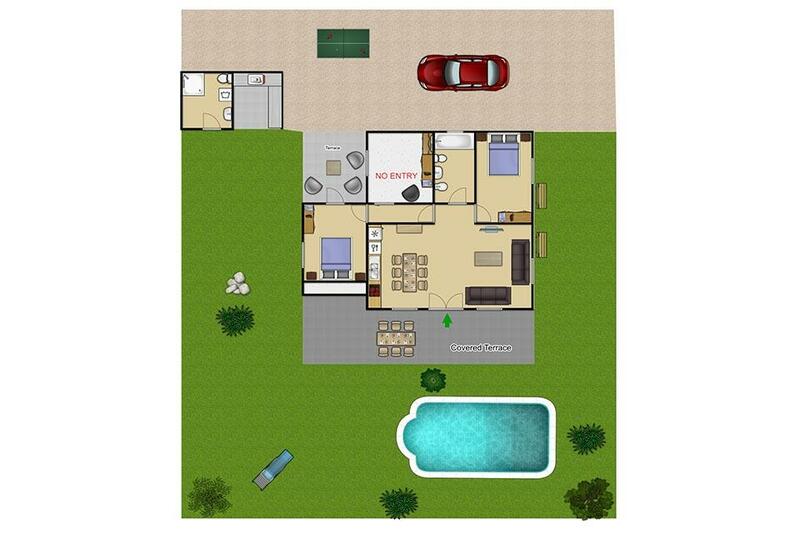 The house is in a very good location, so much space inside and out. Very clean and well look after with all the basic things that you need. The pictures on the website are good but it's better in the real life. Love it!! 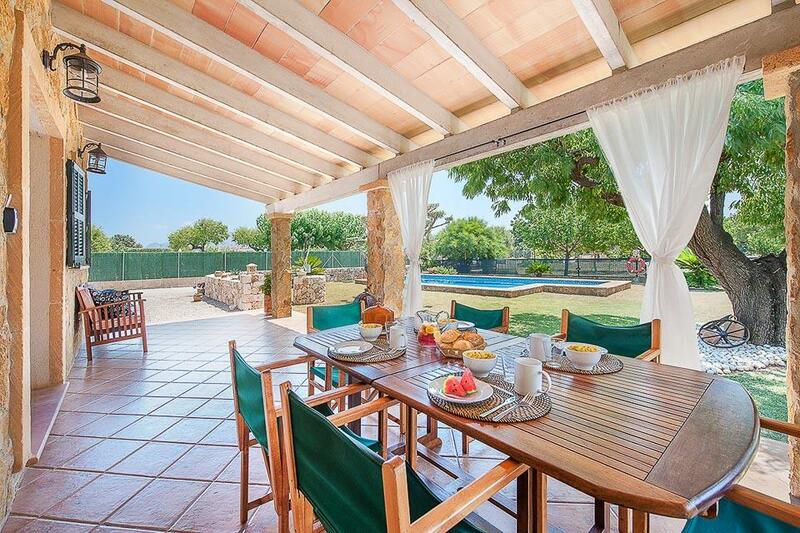 Very clean nice villa, beautifully cared for and very convenient for Alcudia. 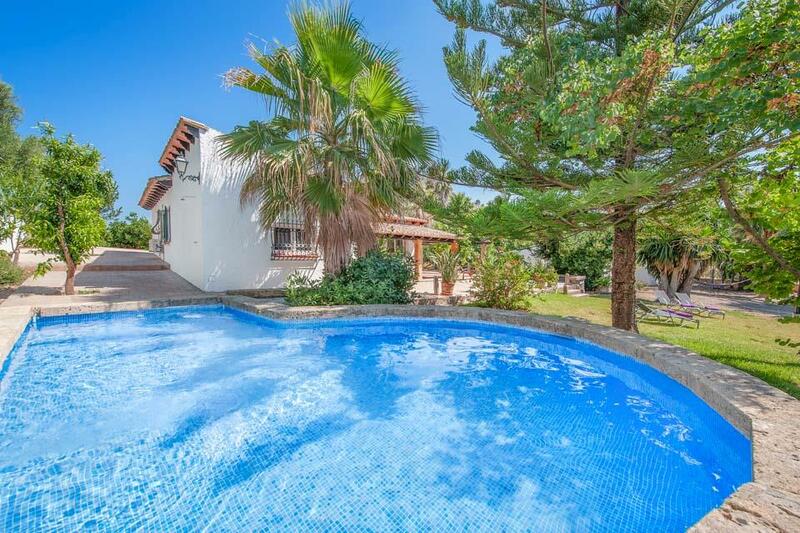 The villa was excellent - great swimming pool, large and comfortable living space, effective air conditioning in two of the bedrooms and free wifi. The garden was lovely and the washroom and barbecue kitchen were very well laid out and well equipped. Rated: Excellent. The villa was excellent - great swimming pool, large and comfortable living space, effective air conditioning in two of the bedrooms and free wifi. The garden was lovely and the washroom and barbecue kitchen were very well laid out and well equipped. Just a great place for a holiday. 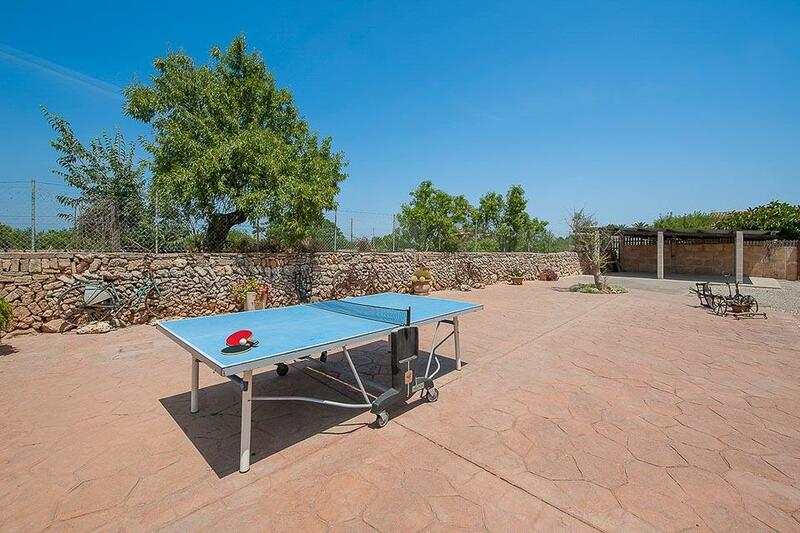 There were many pros; friendly and helpful owner, lovely villa, everything you needed really. 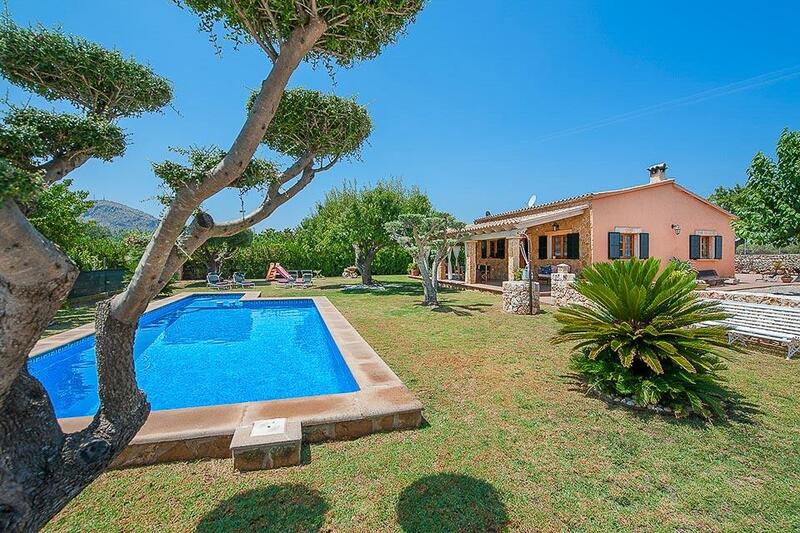 Walking distance to Old Alcudia. Was a real delight staying and really didn't want to leave. Excellent. We are a family of 4 and stayed in Jun15. We had a fantastic time! 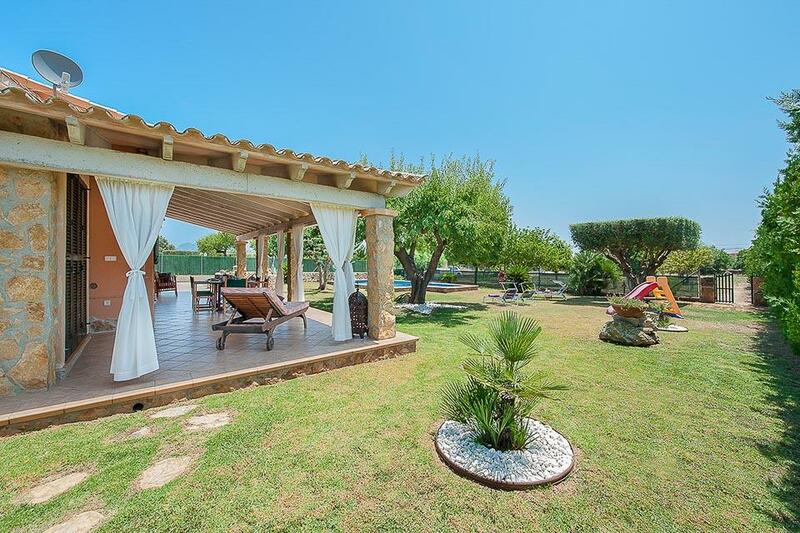 Villa was perfect - great grounds for kids to play, close to old Alcudia to walk of an evening ! Would definitely choose to stay here again. Rated: Excellent. 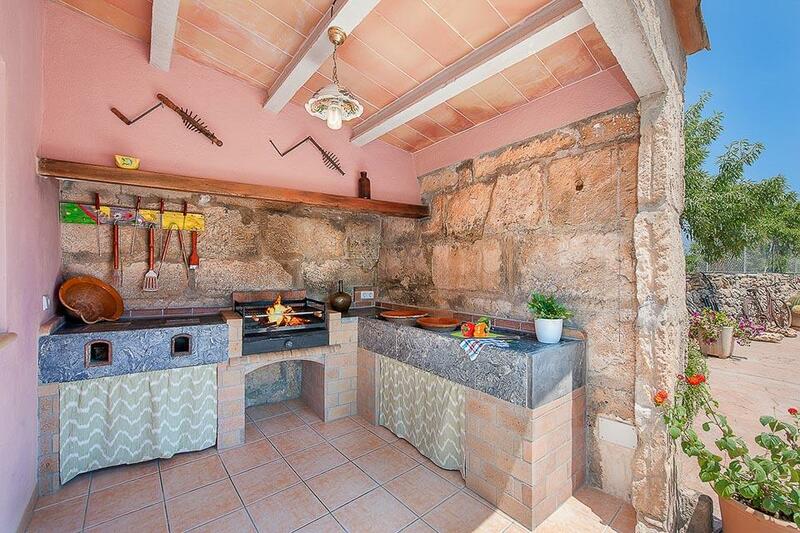 friendly and helpful owner, lovely villa, everything you needed really. 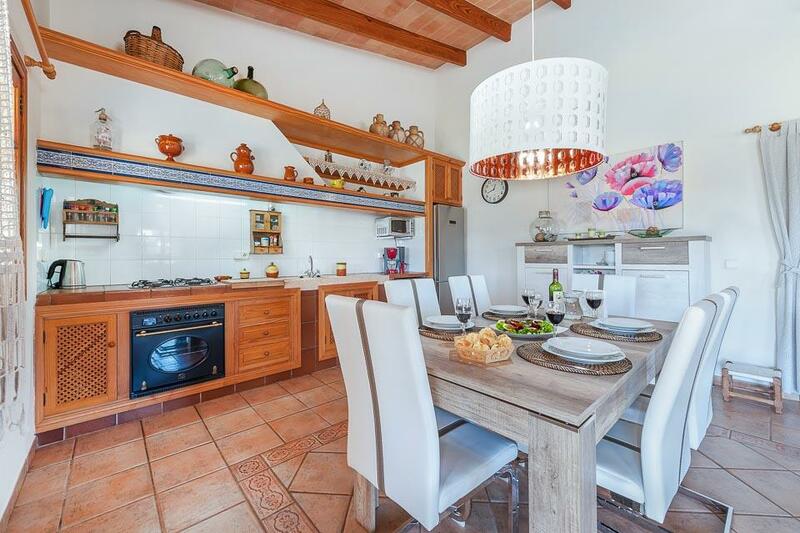 Walking distance to Old Alcudia. Was a real delight staying and really didn't want to leave. Rated: Good. Very well equipped. Owner and his family very friendly although (apart from the daughter) no English. Cooker broke down while we were there and owner replaced with his own straight away.